Get here the steps to install the Epson Stylus C67 printer on the new Windows operating systems. 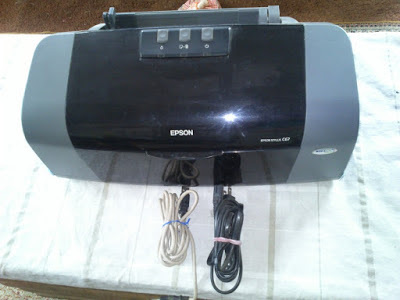 The Epson Stylus printers have four individual ink cartridges as is the vast majority of Epson printers, was a very popular machine by acquisition cost. This printer is the only problem that has not upgraded to drivers so that they are compatible with the new Windows 7 and Windows 8 operating systems, you should not be a problem to update the drivers that are compatible with the new systems. One is that the same driver used for Windows XP can use it for Windows 7, just enough as to continue the process to make these drivers support Windows 7. In the case of Windows 8 this has some built-in drivers for most printers that have been made before the leave, just follow the procedure to activate these drivers and the process will be as easy. With all the above mentioned procedure is only the link to download the drivers, know that will make a direct download from the manufacturer's website, these are the real drivers that go with the description of your printer.